When you are seeking relief from pain, consider chiropractic care as a gentle, natural pain relief remedy. Chiropractic has existed in the United States for well over a century for good reason. Chiropractic patients get real results from noninvasive, gentle adjustments that allow them to reduce or altogether avoid relying on prescription pain medications. As a top Twin Cities, MN chiropractic clinic, Caron Chiropractic Clinic PA offers an integrated approach to health care with a full range of chiropractic treatment options. In the United States today, pain medications are being over prescribed by physicians. Many chronic pain patients suffer from side effects of their medications and increasing tolerance to the medications, which eventually leads to higher dosages. Additionally, the rising costs for medications can become a burden to patients, especially for those who require constant pain medication refills. For these patients, chiropractic is an option that offers gentle, natural, and non-invasive pain relief, which may equate to lowering their dependence on painkiller medications. We understand that first time chiropractic patients have many questions and sometimes even apprehensions relating to chiropractic treatments. First of all, yes, chiropractic treatments really do work! Secondly, no, while patients may experience minor discomfort or pressure, chiropractic adjustments should not cause pain. Lastly, believe it or not, while first time chiropractic patients might arrive with anxiety regarding their first appointment, they may leave feeling more relaxed from their chiropractic adjustment than they expected. 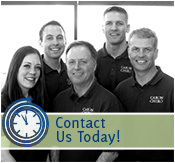 At Caron Chiropractic Clinic, we treat patients for a wide variety of issues. 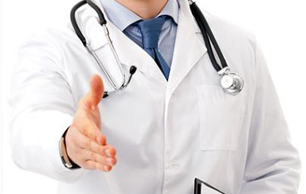 We welcome new patients and will take the time necessary to obtain a thorough history of your health, which will help us get to the root of your symptoms so that we can treat the whole person. Call our office today at (651) 255-9999 to schedule an appointment with a Twin Cities chiropractic practitioner. This entry was posted	on Wednesday, October 12th, 2016 at 6:00 pm	and is filed under Chiropractic, Chiropractic Treatments, Chiropractor, Healthy Living, Injury Prevention. You can follow any responses to this entry through the RSS 2.0 feed. You can leave a response, or trackback from your own site.